The European Union told Britain it could have a different kind of Brexit deal after its parliament overwhelmingly rejected the one negotiated by Prime Minister Theresa May — but only if London changes its key demands. 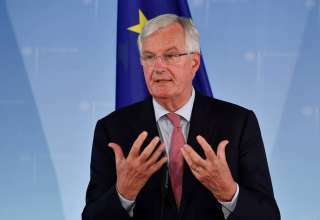 Barnier indicated that one way forward would be for Britain to accept even closer alignment with EU regulations to secure a very close trading relationship in the future — EU officials say London could, for example, abandon its determination to leave the EU customs union and centrally regulated single market. “While we understand the UK could need more time, for us it is unthinkable that article 50 is prolonged beyond the European Elections,” said Guy Verhofstadt, the EU parliament’s Brexit coordinator. EU Commission vice president Frans Timmermans said it “pained” him to see the United Kingdom as politically divided as it is today. He reiterated that Brexit “will do harm” to both the UK and the European Union, but that politicians must act to minimise that harm.